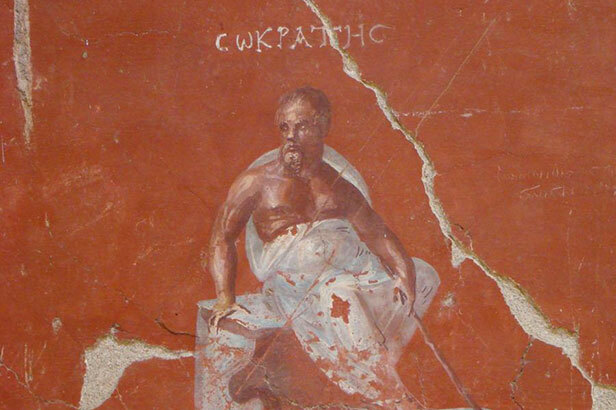 The Ohio State University Department of Classics studies and promotes the languages, literature, and cultures of Greece and Rome, focusing on Antiquity but including all periods from the Bronze Age to Modern Greece. This study is important, as the origins of western and much Near Eastern literature, philosophy, art, religion, and social forms lay in the ancient world. The Modern Greek Program is very active in Central Ohio’s Greek community and helps organize the annual Greek Festival at the Annunciation Greek Orthodox Cathedral. One of the few departments in the U.S. that hosts a Modern Greek Program. Tom Hawkins, associate professor, is writing a book, The Beautiful Ugly, exploring the role of ugliness in the earliest surviving Greek literature and how that role changed over the centuries. Homer’s few un-beautiful characters are marked out for scorn or ridicule, but images of Socrates and Aesop, the teller of fables, expect that we will contrast their ugly exteriors with their beautiful minds. “Such earthy material counterbalances the grandiloquent loftiness of so much classical discourse and reveals an ongoing ethical debate about the literary and social role of aesthetic evaluation,” said Hawkins. The department also has strong teaching and research ties with the Department of History, Center for Folklore Studies, and the Department of Comparative Studies, which offers courses in Comparative Literature, Folklore, Ethnography, Religious Studies, and Cultural Studies.